Never underestimate Elon Musk. Never. Tesla has proven itself, once again, in its ability to deliver the goods. In a statement yesterday from the EV automaker, Tesla confirms it has delivered just over 25,000 vehicles in quarter one of 2017, a new quarterly record that also represents an increase by 69 percent over Q1 2016. In fact, Tesla adds that its "delivery count should be viewed as slightly conservative, as (it) only counts a car delivered if it is transferred to the customer and all paperwork is correct. Final numbers could vary by up to 0.5 percent." Impressive. In fact, it defies the 24,000 vehicle forecast analysts previously predicted. 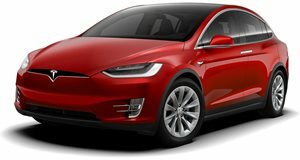 Tesla states that it wants to deliver up to 50,000 vehicles in the first half of 2017. Here’s the exact breakdown of vehicles sold so far: A total of 13,450 Model S sedans were delivered while 11,550 were the Model X crossover. 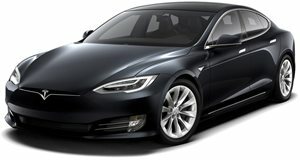 A combined total of 25,418 vehicles were produced as well, also a new quarterly Tesla record. Obviously this is very good news for Tesla, and the new Model 3 hasn’t even reached customers yet. That’s scheduled to happen this summer. Remember, 300,000 anxious buyers have already shelled out $1,000 deposits for a Model 3. Don’t be surprised if Tesla’s year-end sales and production numbers defy some analysts’ expectations as well. But from this point onward through the rest of the year, the major focus will be on the Model 3 and whether or not it’ll meet expectations in both performance, quality and, of course, delivery deadlines and production numbers.